Taste of Baltimore: Rise and Shine! 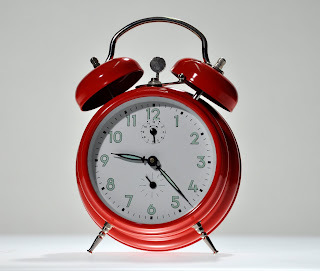 Thanks to this post, I read this great article about the benefits of waking up earlier. I would like to get in the habit of waking up early enough to have breakfast and a cup of tea at home every morning, but I am nervous that I will be WOH CRAZY hungry by lunchtime if I do that! I eat lunch around 1pm everyday, so eating at 7am seems a bit too early for me. Usually I just eat breakfast at my desk around 9am. But it's not relaxing and calming, like it would be if I ate facing my lovely backyard. Do you have any morning rituals? Are you an early riser who has some tips for me??? I am not a natural morning riser, but have been trying with this workout program I am doing. Currently in the 5th week and it is getting easier. I honestly don't think I would get up every morning without my fiancee bugging me to get out of bed. My only tip would be to try and get into a routine, but I am definitely not an expert! I definitely need to get into a routine - you are right. I can't wait for it to be a little warmer and light outside earlier in the morning so I can go running outside. I love the feeling of being done with my workout before the day has even really started! run in the morning Tiny. One you are done you will feel great and forget how tired you were when you first woke up.